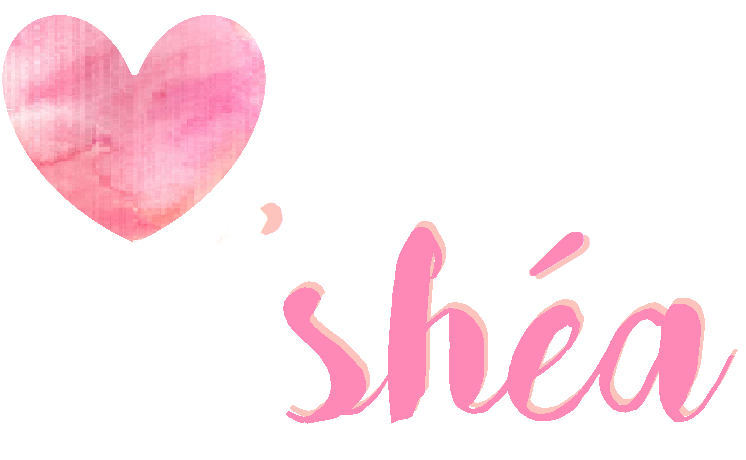 It's no secret... 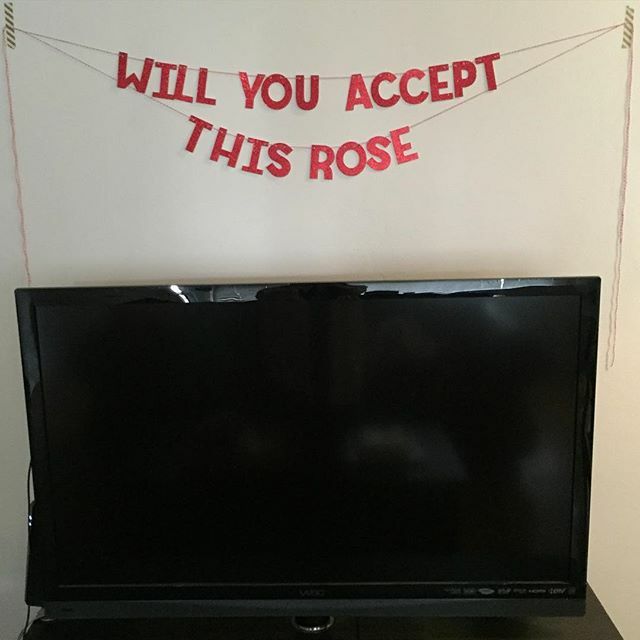 I'm a proud member of #BachelorNation. 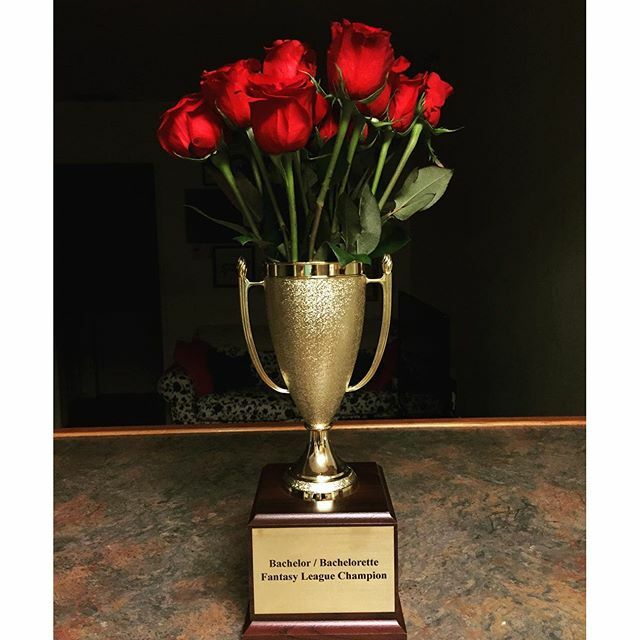 So much so, in fact, that last season I decided to form a Bachelor/Bachelorette Fantasy League for my friends and I. Thanks, in large part to Bach Fantasy, figuring out stats and scores was actually somewhat easy. If you haven't gathered by now, I live to create and will use any excuse to throw a party. 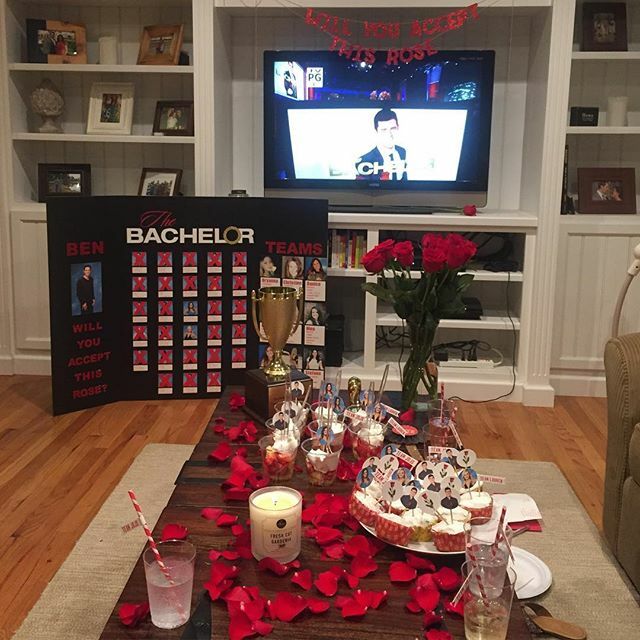 So, Bachelor/Bachelorette viewing parties along with custom decor, is a must. Since last year was the first year of our league, we still had some kinks to work out but the board I made was still pretty awesome. 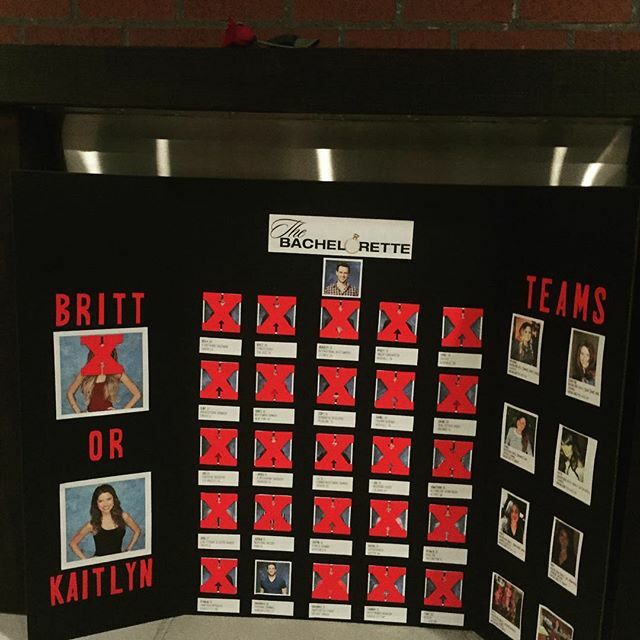 Having two potential bachelorettes (Britt and Kaitlyn) and a contestant that joined well into the season (Nick) created some hiccups but all in all, it was a lot of fun. This seasons board blew the last one out of the water though. 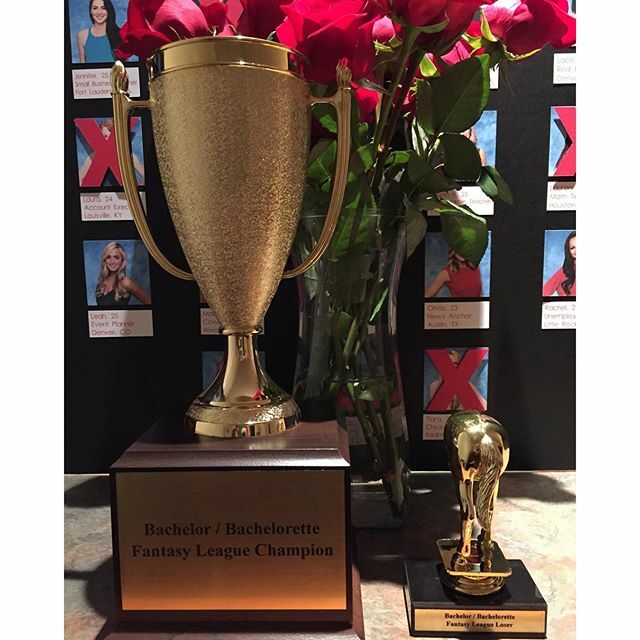 I mean... look at that Bachelor logo! Complete with the wedding ring detail! 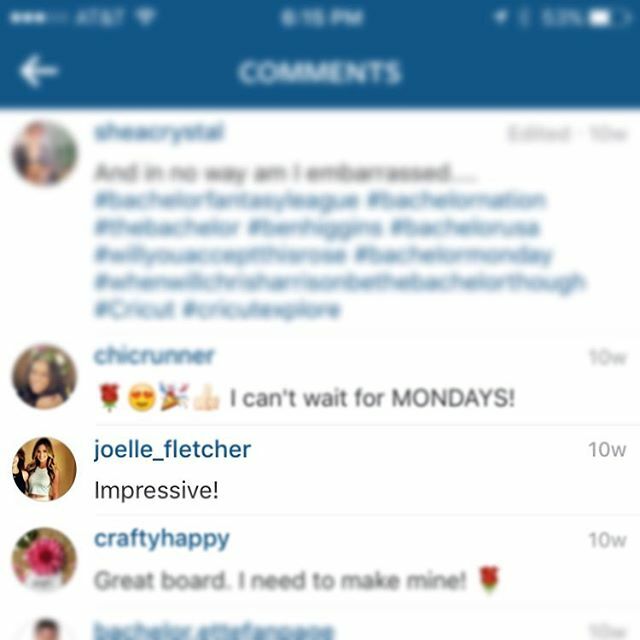 It was SO awesome, in fact, that Bachelor contestants themselves liked and commented on the photo! This season, I also figured we should step up our game, so I ordered trophies, one for both the winner of the season, as well as the loser. 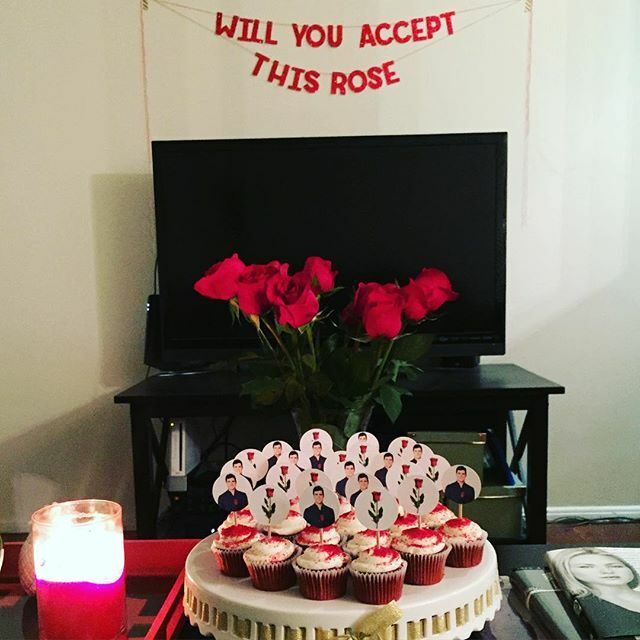 This season we did both a Premier Party, as well as a Finale Party, which of course, required custom decor. 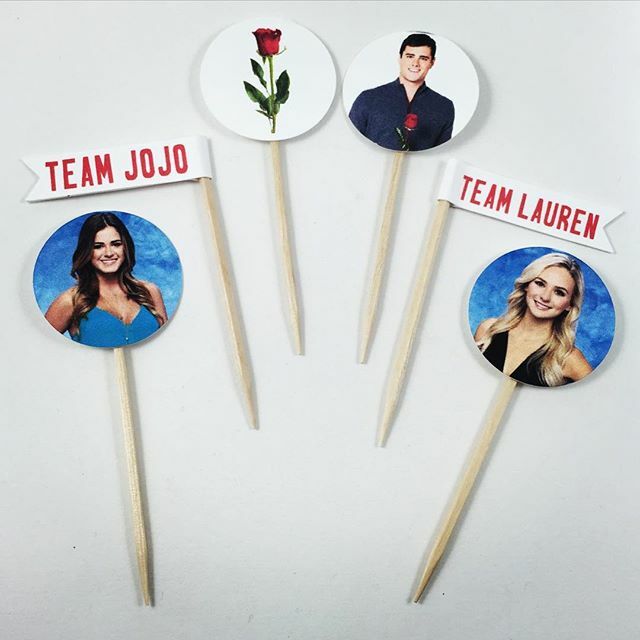 For the finale, JoJo and Lauren toppers were a must. Everything looked so cute all together! I even threw some in the strawberry shortcake cups. Had to rep my girl JoJo. And when all was said and done... I won the league this season! 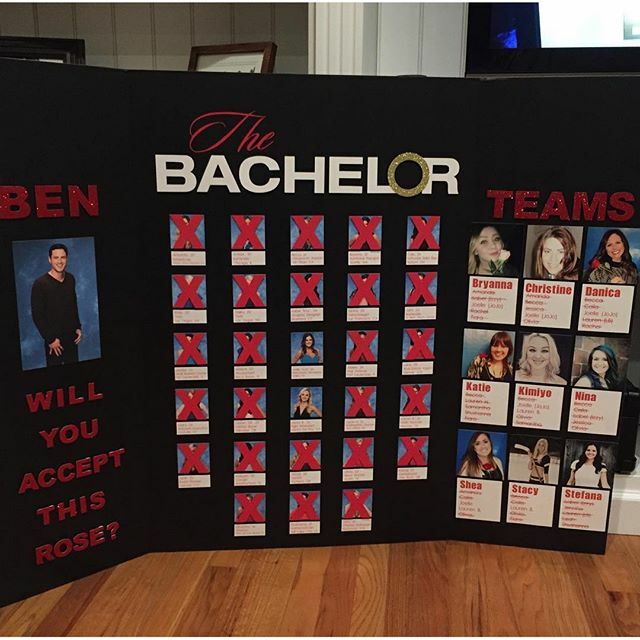 Next season, I hope to create a box for anyone else out there who wants to have a Bachelor/Bachelorette viewing party of their own!